So, holiday seasons are coming up and one of the hottest gifts of this holiday season is going to be drones. Drones were considered as hot selling items during last holiday season and we are expecting that it would be the same this year too. When you are planning to gift someone a drone, you do not really want to make things big at the very beginning by offering him/her one of the best quadcopters in the market. You may not know whether the person likes drones or not! Therefore, it is always an awesome idea to start small. The good news is that there are enough options available for you to go for. In last few years, the drone industry has evolved to the fullest and they have enough options for you to choose from. In this article, we will show you five cheap quadcopter options from the tons out there. We tried to pick complete drones for you as they will be better as gifts. The drones that we picked have cameras, are good for both indoor and outdoor sessions and are great as toys. Let’s not waste any more time and get into the action. Syma is considered as one of the finest quadcopters out there for common people. If you want to gift someone a drone who do not have any prior experience with drones, this is the one that you should go for. There are different colors, the brand is trusted and there is a bit of everything in this model. Syma X11 actually is one of those drones that were built to satisfy everyone. Even today, professionals use this drone to train themselves as this is a good trainer. Apart from that, anybody from child to a man can be happy with the service of this model. There are non camera versions available too but we recommend that you go for a camera model. Babrit Elite 6 is not a famous name in the world of drones but is a handy one if you want to gift it to someone on coming Thanksgiving. The four motor drive is fun enough for everyone and most importantly, the drone looks classy. You should not expect much from the camera as this is a simple built in HD cam but most importantly, it has one and getting everything within that price range is quite awesome. You will have a feel of playing with a remote control car when you will be flying this drone. This is an easy one to operate and that is a good benefit to have especially if the gift is for a newbie. Don’t worry about the name as the name is deceiving. The drone is a simple one with a HD camera and there is nothing related to spying in any of the features. The camera can produce 720p images along with a good angle which will keep you interested. The flight is easy to manage and as this drone does not shake much (thanks to the great balance), you will enjoy playing with this one. You obviously want the person to keep your gift for a long time and this durable drone helps in that idea. The machine is well made and it hardly asks for trouble. Coocher from the brand Coocher is an interesting product to look at. The design itself is interesting. Oh btw, you should know that this drone is also called as JJRC H98. This is more like a FPV drone in terms of features. The camera adds supreme value to the table at the end of the day. 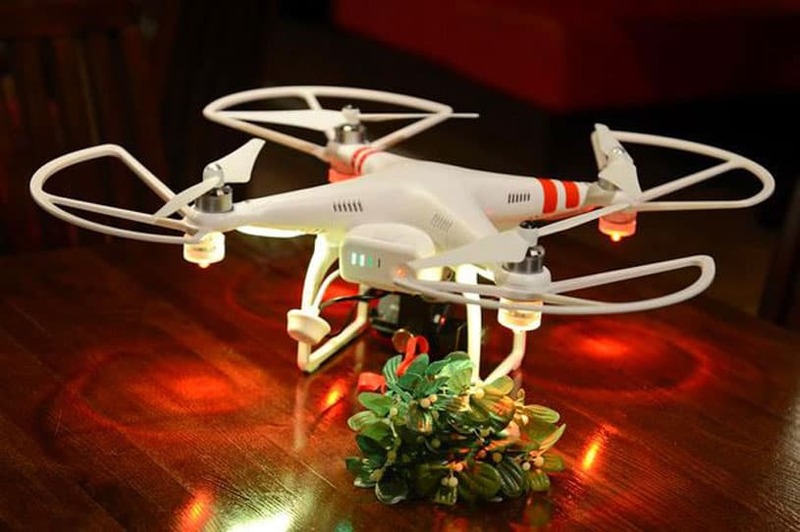 From rolling over to the different types of modes, there is everything that you would have asked in a drone for gift. This is not a long lasting model though. This is only for a quick fun for about a few months and that is it. It will help you to generate someone’s interest in drones for sure. Amosting RC Drone is actually a starter drone. Yes, it can be considered great as a gift but there are more into it. The product has a .3MP camera but it does not come with SD slots which mean that you cannot take a lot of photos at once with this model. You will have to take some snaps, transfer those in your PC and repeat the process. Apart from this, the drone is a brilliant one to go for. No FAA law applies to this model as this is below 150g which is another advantage. 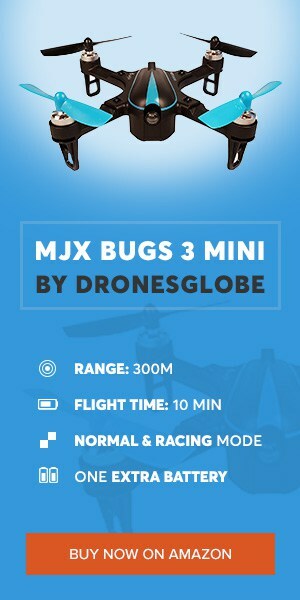 Hopefully, you will be able to select one of these drones as a gift for your loving ones in the upcoming holiday season. Let us know which one you pick and let us also know the reactions if possible. It is awesome to have a drone as a gift. We have experienced that feeling and you can trust us on that.